I don’t know why but a large percentage of chess players I know have quite the collection of chess books. In this day when everyone has a chess program, or ten, on their phones and tablets, and the majority of games are online, this seems a strange fascination. None the less it is true, chess books are a popular way to learn and progress as a player. Beginner chess books can take different approaches for different people. Children and adults learn differently, as do different types of people even of the same age. 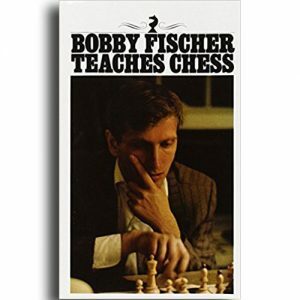 Some books however appeal to a lot of different people and this is the case with Bobby Fischer Teaches Chess from 1982. Yes, this is an old book, but chess has not changed in a long time and no one will deny that Bobby Fischer was a great player. What you may not know was he was also a great teacher. Unlike a lot of chess books this one does not force you to remember twenty different openings and their responses down to eight moves. What it does teach you is how to plan and execute your attacks. With just a basic understanding of the pieces and their movements, and maybe one or two standard openings, you can improve your game significantly. For kids, a better approach might be a book specifically aimed at kids. 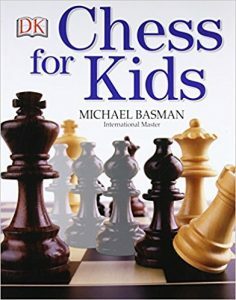 An example of just such a book would be Chess for Kids by Michael Basman. Extremely popular for eight to nine year olds it is also suitable for anyone who might learn better visually, even if they just need a refresher on certain aspects of the game. This book has a lot of pictures and diagrams that make it easy for kids to see what is being talked about. Explanations are clear and concise, leaving all the fancy stuff to other books. If you purchase this book for your child, don’t be surprised if you learn quite a bit too! 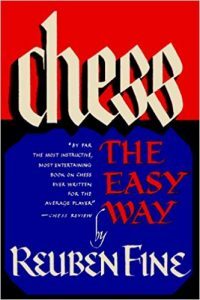 Although technically a book that starts out with the basics for beginners, I consider Chess The Easy Way by Reuben Fine an intermediate book because this one book rapidly takes the student from beginner to playing advanced chess. The description for this book states that “More chess coaches in America recommend this book for their students than any other book.” and that would not at all surprise me. There are a several of these laying around at every reasonably large chess club meeting. People who have been playing for decades and have well worn copies of this book still refer back to it to improve their game, it is that good. Ask your coach, I’ll bet you get an emphatic recommendation without hesitation. This next book is a little different because it doesn’t approach teaching the same way. 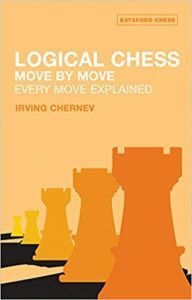 One issue I have always had learning was knowing why someone made the move they did, Logical Chess: Move by Move Explained by Irving Chernev solves this issue. This book dissects 33 games by chess masters and walks you through each game, move by move, telling you why they made each and every move. This provides excellent insight that is not readily apparent when just learning sequences of moves and their “c0rrect responses”. One of the leading chess instructors in the world has got to be Hungarian László Polgár who led his three daughters to several world championships and eleven Olympic gold medals. 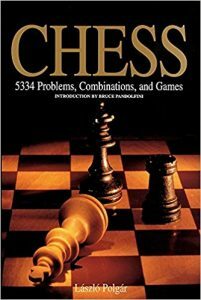 His book, Chess: 5334 Problems, Combinations and Games is one of the greats for advanced players. Even highly ranked players will find it difficult to present a challenge that this book will not help you get out of. The book starts out with mate in one problems, then advances to mate in two and then mate in three. These problems will help you spot mate opportunities you would have otherwise missed, and get your creativity flowing to see other chances not presented. 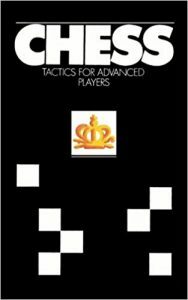 When you are ready to really test your mettle, you should look at this book, Chess Tactics for Advanced Players by Yuri Averbakh. This is an extremely in depth look at tactics, specifically combination and double attacks. Players that have read and employed the tactics in this book have reported up to 300 point increases in their ratings. That is not a single fluke either, if you are advanced enough to be reading this book then you too can see some serious improvements in your chess playing abilities. So now it is time to stop reading here, get a book listed above, and get playing! Not only do we believe in honest reviews and promoting products we believe in, we also believe in being honest with you. Product links on this site may earn us a small commission if you use the link to purchase the item.